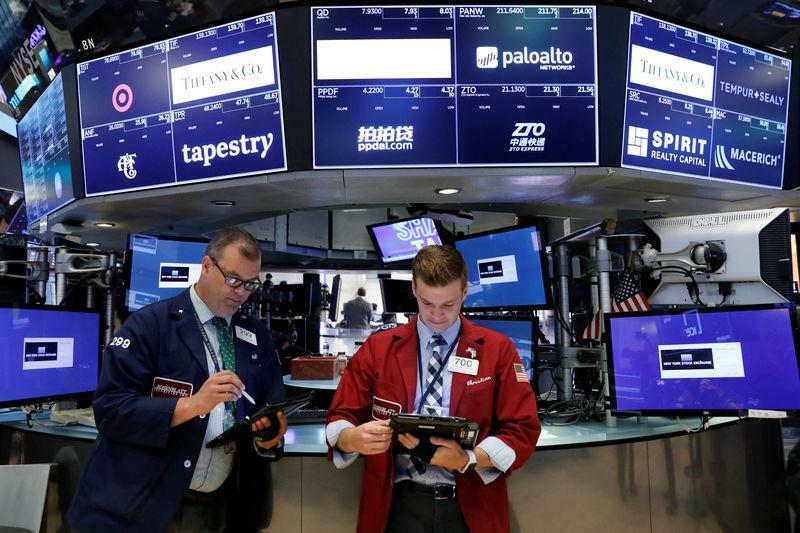 NEW YORK (Reuters) - World share markets rebounded on Tuesday as Turkey's lira pulled out of a recent nosedive and reassuring data from Germany helped offset the latest softness in China's economy. After three weeks of heavy pounding, the lira (TRYTOM=D3) recovered some ground, trading at about 6.37 to the dollar, up almost 8 percent from the previous day's close. The Turkish currency was supported by news of a planned conference call in which the finance minister will seek to reassure investors concerned by President Tayyip Erdogan's influence over the economy and his resistance to interest rate hikes to tackle double-digit inflation. The dollar advanced to a 13-month peak against a basket of major currencies as traders increased their safe-haven holdings of the U.S. currency on worries about the lira-related fallout. The Turkish currency lost almost 10 percent on Monday and nerves were briefly tested again as Erdogan urged Turks to boycott U.S. electronic products in response to recent criticism from Washington. "I don't believe it's all over," said Minh Trang, senior currency trader at Silicon Valley Bank in Santa Clara, California. "We are just getting a bit of reprieve from the recent down move." The Turks have exhausted the possibility of interest rate hikes and are backed into a corner by their inadequate level of currency reserves, Paul McNamara, emerging markets investment director at GAM Investments in London, said in a note. A much-needed demand slowdown in Turkey is causing asset-quality problems in banks, he said. The role of construction in the Turkish economy, for example, is comparable to that in Spain or Ireland ahead of the European bust a decade ago, he said. MSCI's gauge of global equity markets <.MIWD00000PUS> halted a four-day slide to rise 0.33 percent, while Japan's Nikkei (.N225) jumped 2.28 percent in its biggest one-day gain since March. European shares steadied after a two-day sell-off as concerns about contagion from Turkey's currency crisis eased. The pan-regional FTSEurofirst 300 index (.FTEU3) closed up 0.06 percent and the benchmark STOXX 600 (.STOXX) closed flat. Data showing the region's largest economy, Germany, picking up more steam than expected in the second quarter helped sentiment in Europe, though the markets' bounce might have been bigger had Chinese economic surveys not disappointed. Investment growth in China slowed to a record low while industrial output and retail sales both missed expectations. The downdraft for emerging market currencies stopped, with the South African rand (ZAR=), Russian ruble (RUB=) and Mexican peso (MXN=), a proxy for emerging market currencies, all rising. Still, MSCI's emerging markets index for equities (.MSCIEF) fell to its lowest since July 2017 before paring most losses for the day to close down slightly. Stocks on Wall Street rallied. The Dow Jones Industrial Average (.DJI) rose 112.22 points, or 0.45 percent, to 25,299.92. The S&P 500 (.SPX) gained 18.03 points, or 0.64 percent, to 2,839.96 and the Nasdaq Composite (.IXIC) added 51.19 points, or 0.65 percent, to 7,870.89. The euro fell, hitting 13-month lows against the dollar and Swiss franc, as traders fretted over the exposure of European banks to Turkey. The dollar index (.DXY) rose 0.3 percent, with the euro (EUR=) down 0.56 percent to $1.1344. The Japanese yen (JPY=) weakened 0.44 percent versus the greenback at 111.21 per dollar. Oil prices pared gains as the dollar touched a 13-month high against a basket of currencies. A stronger greenback makes dollar-denominated oil more expensive for holders of other currencies. U.S. crude (CLcv1) fell 16 cents to settle at $67.04 a barrel and Brent (LCOcv1) settled down 15 cents at $72.46. U.S. December gold futures (GCcv1) settled up $1.80 at $1,200.70 per ounce. U.S. Treasury yields rose, in line with the European bond market, as global sentiment brightened after equity markets stabilized worldwide and the lira bounced back a bit. Benchmark 10-year notes fell 5/32 in price to yield 2.8931 percent. Germany's 10-year yield was 1 basis point higher at 0.33 percent, above a one-month low hit on Monday as Germany reported stronger-than-expected second-quarter GDP data.